Alternative facts in eight octaves. 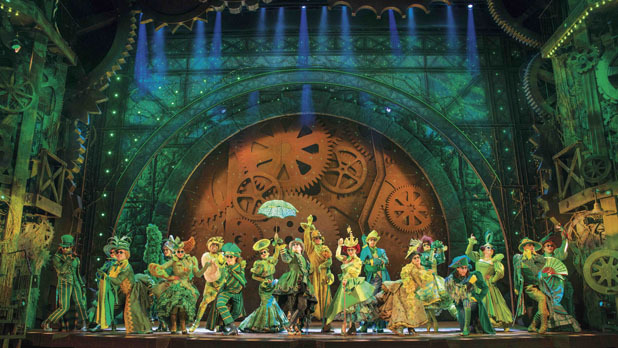 Broadway’s Wicked opens in Shanghai, defies gravity. Broadway smash blockbuster musical Wicked burst onto a Shanghai stage Wednesday night at the Shanghai Culture Square with all that was promised: jaw dropping vocal pyrotechnics from its leads Carly Anderson (Glinda) and Jaqueline Hughes (Elphaba), a sparkling book bursting in breezy humor and romance, astounding and intricately staged dance and acrobatic pieces from a talented cast of players, the costumes! oh my god the costumes! and a great green puff of smoke. And a big mechanical dragon that went RAAARRR and moved around a bit above the stage! Wonderful! The musical rides the highest wave of statistical credence: Wicked has been running on Broadway since 2003, where it is still selling out shows today. It’s been staged over 5,000 times — anything over 1,500 is considered a huge smash hit — and has broken box office records in Los Angeles, Chicago, St. Louis, and London. 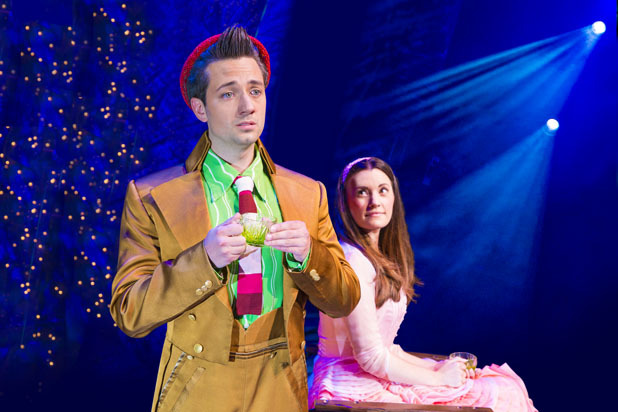 The West End and American productions have been seen by over 2 million people. It’s since toured internationally in Australia, Japan, Germany, South Korea, Holland, Mexico, and now China. Currently, there are four simultaneous productions of this thing — ka-ching — and Shanghai is hosting their “International Tour” featuring a cast of veteran Broadway performers. With Music and Lyrics by Stephen Schwartz (Godspell, Pippin) and a Book by Winnie Holzman (the creator of My So-Called Life !!!!!! 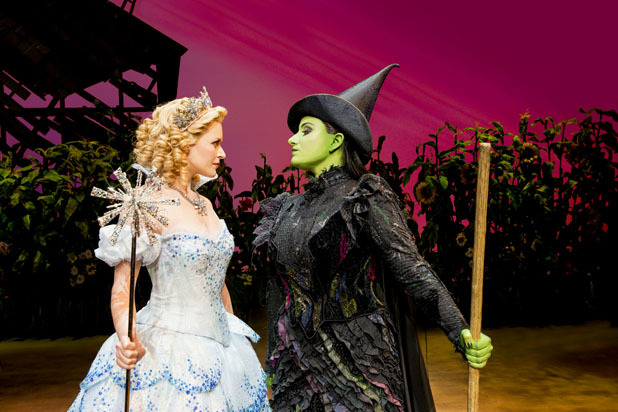 ), Wicked is based on Gregory Maguire’s novel Wicked: The Life and Times of the Wicked Witch of the West, an alternate retelling of L. Frank Baum’s The Wonderful Wizard of Oz that casts pop culture’s greatest all-time villain, the Wicked Witch of the West, as an unrecognized hero and tragic romantic figure. The narrative arc is a coming-of-age story of the protagonist, Elphaba (the Wicked Witch of the West), explaining the trademark green skin, the pointed hat, the broom, the winged monkey army, with the events in the play coming to line-up with the events that transpire in L. Frank Baum’s original — just told and staged from a different perspective. It’s origin story mixed with alternate history — a prequel, a reboot, a revamp, an alternative telling — with the central conceit being to repaint one of the most black-and-white stories of good and evil ever told in a pallet of greys and, to use a wonderful new phrase that’s recently been popularized, a slew of “alternative facts”. But the songs! Oh, the songs! Good lord, the songs! Wicked is essentially a Disney movie with heavy, heavy, heavy princess-coming-of-age vibes, delivered in great, heaving, wonderful Disney ballads. The composer, Stephen Schwartz, is know for his contributions to such Disney cannon films like Pocahontas, The Hunchback of Notre Dame, and Enchanted. 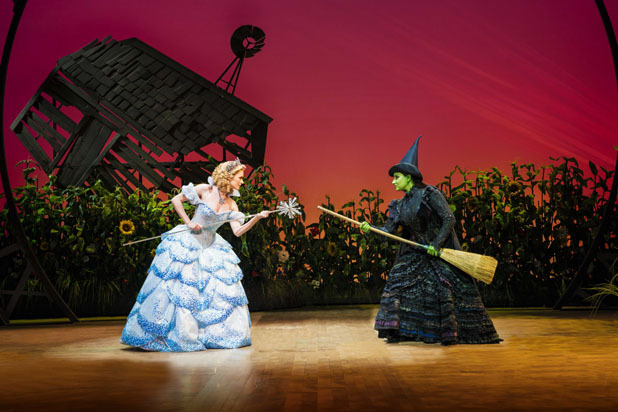 It’s a really, really Frozen sort of experience, anchored around the relationship of Glinda The Good Witch and Elphaba in the same way that aforementioned STONE COLD CLASSIC focuses on Princess Elsa and her sister Anna. 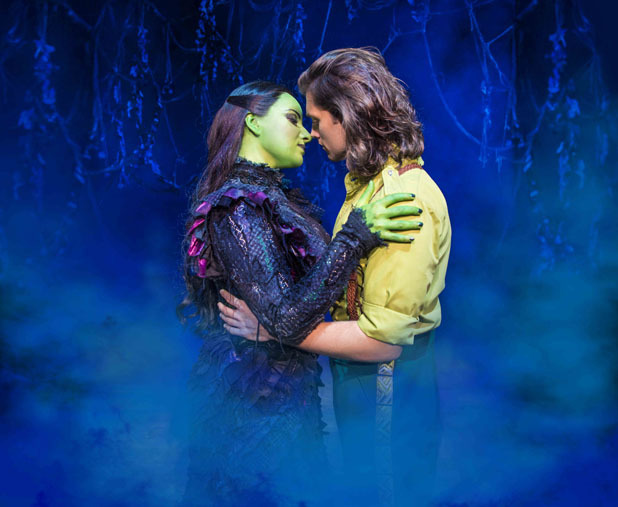 The connections go deeper than that: In 2003, the role of Elphaba was originated by Idina Menzel, who would later go on to worldwide fame singing “Let It Go” as the voice of Princess Elsa in Frozen. Wicked even has it’s own “Let It Go” moment. It’s this song right here. Don’t click that link if you don’t want any spoilers. 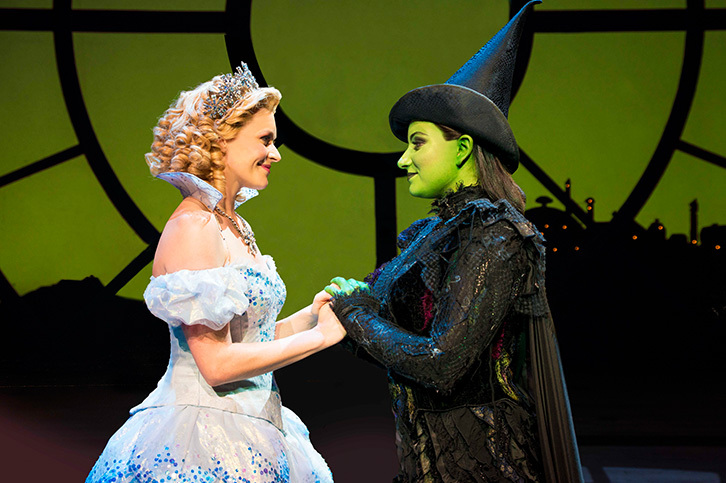 It’s Idina Menzel and the delightful Kristin Chenoweth melting face, performing the show stopper trademark Wicked song at the Tony Awards. Do you like Disney princess movies? Do you like dazzling, dazzling musical theater with wonderful choreography, costumes, and sets? This is really one not to miss. It’s also a great one for kids who are learning lessons like “be yourself”, “the meaning of friendship” — and “society is run by THE MAN who is always trying to grind you down” — and other valuable truths. One suggestion: If you’ve managed to avoid the plot summary in the last 13 years, make sure you maintain that ignorance for the show — part of the fun is the twists, turns, and reveals of the story, as it dovetails in with the original story.